(THE GUARDIAN) — The Playamed hospital is an unremarkable two-storey building on a quiet street lined with red-blossomed flame trees, just a few minutes’ drive from the white-sand beaches and all-inclusive resorts of Cancún’s hotel zone. Recently, however, it was the setting for an incident underlining the relentless spread of Mexico’s drug war to cities previously best known as beach holiday destinations. Four gunmen burst into a private room at the clinic last week, where they shot dead Alfonso Contreras Espinoza and his wife. 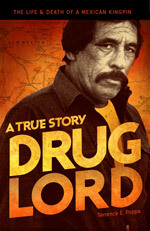 Known as “El Poncho”, the murdered man was reputed to be the local boss for the Gulf cartel, and had been released from a local prison to receive treatment for a leg problem. Investigators discovered a bag of white powder under his leg and a scale, suggesting that Contreras had been dealing from his sickbed. On a recent morning, hospital officials declined to comment on the brazen attack. Paramedics standing in the shade outside looked away or stared into their smartphones when asked about the incident. Not so long ago, Cancún sparkled as the crown jewel of Mexico’s Mayan Riviera. But rampant corruption, chaotic development and a string of murders have all tarnished the resort city’s reputation. Other tourist hotspots have also been caught in Mexico’s red tide: Acapulco, once the country’s most glamorous beach spot, is now the setting for relentless gang violence; late last year, the bodies of six men were left hanging from bridges near Los Cabos on the Baja California peninsula. Earlier this month, a Mexican thinktank named Los Cabos the world’s most dangerous city outside a war zone. The problems of Mexico’s resort cities mirror those of the country, which last year suffered its most murderous year in memory.